BOM-BUYER DECLIN. 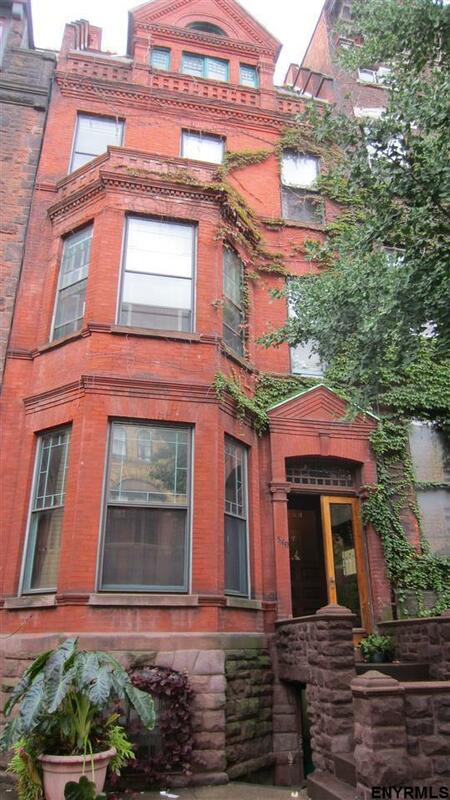 FINCNG*State St Queen-Anne elegant 5-unit brick & brownstone townhouse circa 1882. Gorgeous shimmering original woodwork, mantels, doors, wainscoting & window shutters. Elegant large rooms; bay windows; exposed brick; high ceilings & large skylight. Arty glassed-entry 2 story duplex (2 br+2 ba) top 2 fls. Original hallway artwork incl. Furnace 2016. Excellent tile roof & brownstone stairs. Pretty perennial garden with patio. Taxes being contested.